Comment: I would like to get an estimate for the granite needs to be cut to fit new countertop 36" in cook top. The current hole is 30x20 1/2 in. Comment: Existing counters have already been removed. We were working with another company and he blew us off, even though he said it would be done by the 15th of April. We have to be finished with this project no later than April 26th. We were looking at quart and granite that have a concrete look, with flecks of other colors. We need countertops in the kitchen and bathrooms. we need sinks for all three as well. 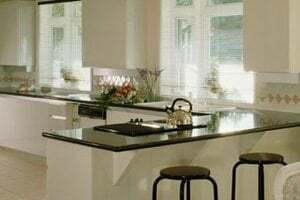 Oklahoma City Countertop Contractors are rated 4.81 out of 5 based on 92 reviews of 15 pros. Not Looking for Countertops Contractors in Oklahoma City, OK?